Nearly everything Trump says is a lie. Take his recent world tour. He didn't accomplish one thing. But what about that big arms contract with Saudi Arabia that was going to create thousands of jobs here at home you ask? It's dust in the wind. Anyone watching the White House Press briefing yesterday could tell Sean Spicer didn't really know if Trump actually signed a contract. He tried to spin it. Sad. There is no contract for $110 billion dollars. Period. Instead, there are a bunch of letters of interest or intent. Many are offers that the defense industry thinks the Saudis will be interested in someday. Fact: None of the deals identified so far are new, all began in the Obama administration. 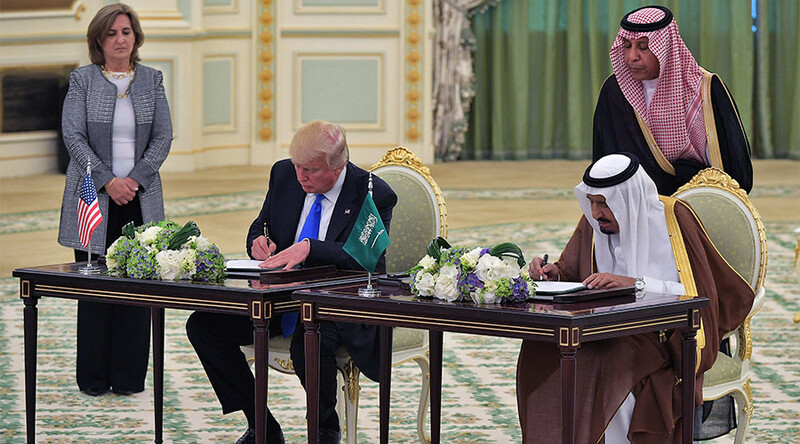 Not only was the Liar-In-Chief spinning a new reality to the so-called arms deal he made in Saudi Arabia, but he was also taking credit for something President Obama started a year ago. I call that the Donny double.